We found this remix of Snatam Kaur’s, Ong Namo, on twitter last week. It was done by Irish producer and DJ, Bryan Kearney. We posted the song over on the Spirit Voyage facebook page on Thursday and it didn’t go over very well with Snatam’s fans. We’d like to know what you think. Leave a comment below and tell us if you like Bryan’s remix. 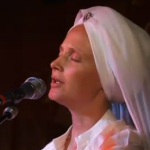 Video: Snatam Kaur at Spirit Fest "Ong Namo/There is Only God"
Video: Snatam Kaur's Washington DC "Waheguru" Dance! Absolutely love the remix, and the original, especially the live version. I read Bryan’s comments above, and it would have been great to get the original vocals, acapella from the mix. That way he would have had full control of the vocals in the mix, and not had to worry about background drums etc. Bryan, if you are still monitoring this thread, did you ever contact the Publishing Company that owns this track, and see if you could get solo vox out of Snatam’s original? Love to see this kind of remix, I can relate 100% to both versions, depending on what type of mood I’m in. Keep up the positive vibe and looking forward to more mantra remixes!! Bryan Kearney straight rocked this remix. I feel so blessed to have met Snatam Kaur in Oakland a few months ago at her Sacred Chant concert and to have her music in my life everyday. She is such a sweet soul and positive influence in this world. Bryan Kearney took her music to a whole new level with his remix. It is top notch quality. I like this remix a lot. It does justice to the original. The melodies are beautiful. Bryan Kearney did an incredible job. I am a DJ too and I’ve even done Snatam Kaur remixes in my sets “Wahe Guru Wahe Jio” over the top of a tech-house song. Not everybody liked it (including my wife), but some people did. Everybody’s taste is different. 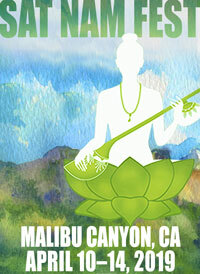 This is a good way to introduce dance music lovers to Kundalini Yoga. LOVE this! I’d buy it in a heartbeat. What a great way to get people moving and get the spirit moving in them. My partner and I are both dancingdancingdancing right now (third time listening). I’d love to hear the updated version of this. I can understand why some fans wouldn’t like this version; it’s not the same reverrent, soaring Snatam we’re all used to. I think it speaks to (or has the potential) a different population with different needs. My wonderful teacher, who introduced me to Kundalini, met her husband and soulmate dancing in a club in Bordeaux, France in the late 70s. They were both so entranced in the music and the energy moving in them (without any drugs or alcohol) that they both describe their light shining so brightly–thanks to the music and dancing–that they found each other that way. Bring on the dance music! MORE !!!!!!!!! MORE !!!!!!!!!!!!!!!!!!! GIMME MOOOOOOOOOOORRRRRE !!!!!! I love the whole idea of mixing electronica with mantra, we are certainly coming into the Aquarian Age! Like others mentioned earlier if you up the vocals so they are clearer I think you have a great song! When will it be available for download? I will definitely play this when dancing is required in a yoga set/kriya. How marvelous to think that people who might never have access to listening to mantras will now with your song! Keep uplifting people with your creativity! Interestingly enough, this remix reminds me most of “Unchained Melody”: “Ong namo, my darling, I’ve hungered for your touch….” I don’t get that from the original. I like certain aspects of techno beat type music but the sound of actual drums being beaten by actual hands far outperforms anything a computer can do (usually), even when directed by a human. And forgive me, but it sounded just like the disco beats of the 70’s – it gets the blood flowing faster and the body moving, which has its place. But the music didn’t go with the chant/song/mantra at all. They seemed like they were working against each other. The overly amped, frantic beat mixed with the slow, peace inducing poignancy of Ong Namo. It just didn’t work for me. What a brilliant work Bryan! Thank you so much! I am one of this generation that use to dance on that type of music in Ibiza mainly…which you probably go to! I am in my late 20’s and I miss dancing so much and now passionate people like you unite with spiritual singers, well I call that a blessing!!! It is the future, there is no doubt. People and young generations celebrating their spirit in an uplifting environment…we still have to work on clubs to be drugs and alcohol free…instead will drink yogi tea! But I know it is the future and thank you for being part of it and sharing with us! PS: I do agree that focusing on Snatam voice would be great as we want the people to be able to hear this beautiful mantra! I hear in this, the future of spirituality. Bringing worlds together… and celebrating the unification. Opening our minds…and elevating through art. Love it. LOVE this! I am a huge Snatam fan and in my mid-40’s (= old to some 😉 and love the mixing of eras, genres, etc. I like to think of myself as a “Spiritual DJ” and this music is exactly what I like to play for others. It’s ecstatic, joyful, spiritual, and lovely to dance around to. i love it – I believe yogi bhajan was all for using some bhangra in certain parts of sets to liven things up, so this is similar high energy music – and brilliant to use for some challenging breath of fire poses ! Brilliant and AWESOME!!!!!! It’s the Divine Pulsating Kundalini Shakti at Her best!!!! RIght on! Sat Nam! Well, I am open to new expression’s of music and this one is a good idea but Snatum’s voice is drowned out and I think a better beat/instrumet selection would improve this. Enigma type music and Snatum Khaur, wow, there is a creation. Having delved in the rave community when it was underground and “about the love”, and not a club scene, I can say that it was a valiant attempt on your part. I like the concept and think you are on the right track, but in all fairness to the experience of listening and dancing to a music track, if you are putting in vocals they need to be heard. During the basslines, Snatam’s voice is all but drowned out. In my opinion there is too much bass where you are wanting to use her voice. Perhaps a longer track with broader lulls in base giving time for just rhythm and voice. The idea of bring meditative mantra into music remixes is over all awesome. I applaud you. But it is a real challenge to fuse two very different musical energies. Doable but a challenge. Perhaps there are just to many elements competing for attention in this mix. Sometimes less is more and can have a stronger affect on your audience. Kind regards and good luck with such future tracks. It will be interesting to see what else you create along this vain. Thanks! !, i love to dance and its great to listen Snatam Kaur in this lovely way too!! Bryan did an awesome job with this. I heard it on DI.FM (Global Trance Channel) and was enthralled. Snatam’s message is getting out to a whole new audience around the entire world. Worldwide DJs listen to this channel and will pick up the track, positive music fused to the soulful positive trance is a force for good and will spark enlightening pathways for many people who otherwise would not have had the opportunity to have such a marvelous opportunity to hear Snatam! Wll done Bryan – I’d love to hear more remixes of Snatam’s work. This could create a new genre. I am an optimist – love the idea of the “adi mantra” showing up in unexpected places. Or someone at a dance club connecting to Kundalini Yoga through an interest in this song. The calling of the soul can take many forms. I love the Aquarian Age ! I love it. I love dance music and Snatam!! I love the beat — I love the mantra — I don’t like the two of them together. They pull me in opposite directions. Like sadhana chants set to hip-hop music (sorry, DSK). Yeah, I’m all for making “spiritual” music listen-able, and for being able to MOVE to it (some of the time), but — I’ve heard danceable mantra tracks that don’t rub me the wrong way like this one does. Just my personal response — don’t get all aggro with me! I LOVE it when anyone attempts to do dance remixes of mantra or chant. I sang Krishna Bhajans in the 90’s over fabulous electronica tracks by Anthony Barker and Lynn Seraphin who were also students of Indian classical music, 2 vinyl eps came out in ’94 and ’97: Imagine, which charted in dance charts, and Transcendental Overdrive. We were called Overlords of the UFO. Bryan, I congratulate your effort. There is a drum which is slightly high in the OngNamo mix but overall I like it a lot. Please feel free to take my mantras and remix them. ( just send me the results, first, before you upload to the public) I want to see mantra go everywhere. Because people in bars may not necessarily come into a yoga class, but if they are dancing to a mantra for long periods of time, it may very well pique their curiosity and lead them into a Kundalini yoga class or a Gurdwara. People have come this way through stranger circumstances. Keep remixing! Thanks for the positive comments, great to see that people are positive about what i have done. It would be great if it were possible for this track to get a full release for everyone to experience and hear. Also the above version in the video is not the final version as i have done some more work on the track to try and make the vocal stand out more. Also, I only had the normal version of Ong Namo that included all the extra instruments in the background including her voice so it is very difficult to just isolate Snatam’s voice on it’s own and bring it out louder than the music without the instruments clashing aswell. Hope you understand what i mean when i say this. Thank you for all comments, they are much very much appreciated. You know, I was just in a cafe last night where my son (Sat Rattan Singh) was playing a gig…the thought of his raga muffin followers all dancing with hands held high in their usual trance to Snatam is hopeful and exciting. Would I rather have my daily devotion without a snare drum backdrop pulse? Absolutely, but All those who get to their still point in another way might have something to say about that. My son in law (Ram Rattan Singh) and I are going to be working on a cd for followers of the qigong style I teach. I’m going to send this mix right on off to him as an example we had not considered…thanks! I like it….I’d like it much better if the voice was louder than the music instead of visa versa.. I LOVE it. I wonder why it didn’t go over big with Snatam’s fans. Are they feeling protective of her and someone else possibly “stealing” or co-opting her work? Or do they honestly just plain dislike the techno aspect of it. Does it raise questions about the fusion of techno and mantra? I don’t get it. When I listen to this my heart feels like it has fireworks going off in it. I’ve been dancing to techno music in the recent past and noticed amazing sensations happening to me physically and spiritually. My hope is that people will find that they don’t need substances to have a spiritual experience with music like this. I’d like to hear more of this. 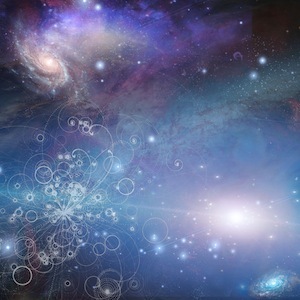 There are so many possibilities with the wealth of mantra music that has been recorded. Let’s dance all night long to spiritually uplifting music. I think it’s great for those free-dance moments in a Yoga set. The overall idea of the remix is fun, but I don’t like how it makes the vocals cut in and out. Snatam is very difficult to hear in Kearney’s version, and let’s be honest…it’s her voice that makes the song what it is. Any remix should never overpower her voice! Make the vocals more present, and in my opinion, you’ll have a solid remix. I always love to see musicians come up with different creative expressions. This audio sounded cool, but I could see how some people might not like it (especially if they are older). I think some of it has to do with associations of certain styles of music. Like for Example in Indian/Punjabi culture there is a strong negative association with Bhangra music for Sikhs because many listen to it in ways that are not always positive (drunken partying). In the same way I can see how this music might get a similar type of association because the style of music is normally played at dance clubs. 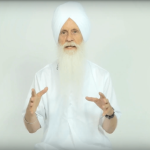 The mantra Ong Namo Guru Dev Namo is normally used in very spiritual contexts as a way to connect with the divine God in the universe and “tune in”. This also reminds me of the “Buddha Bar” CD series which is pretty good music but for me it is odd to know that this music came out of an actual bar in Europe. I guess for me getting drunk and spirituality/Buddha don’t seem to be a good match. So there does have to be a sensitivity & respect when these mantras are used, but what I think is negative might be positive for someone else. So who is to say what is ok and not? Overall when looking at this objectively, any positive messages that inspire people I think is good. As long as we do things from consciousness and with respect I think we are on the right track.